Let the luck and pride of the Irish flow! 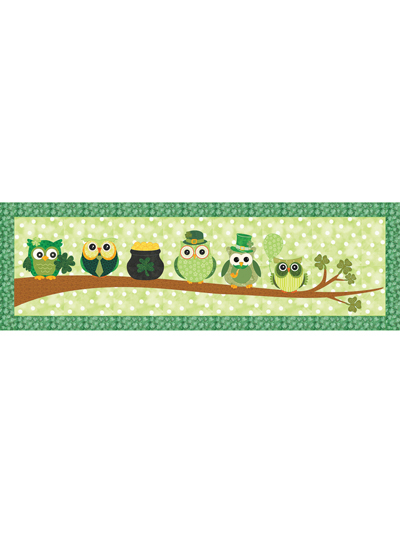 These owls are a hoot and will add a festive St. Paddy's touch as a wall hanging or table runner. 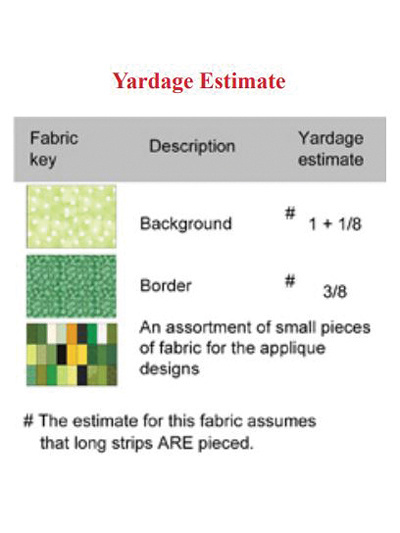 Choose your preferred applique technique for assembly. Finished size: 48 1/2" x 15 1/2".